It felt like Christmas when my VIP Voxbox arrived in my mailbox! When you hear Yves Saint Laurent, you automatically know you won't be disappointed. These Rouge Pur Couture Satin Radiance Lipsticks are absolutely gorgeous and are perfect for this fall and winter! They are super creamy and glides on effortlessly. It's very opaque with just one layer - I didn't need to put on than one layer followed by a light blot. One Saturday, I joined my dear Husband out on the field while he was working his real estate business. Not having much time to do my makeup in the morning at home, I grabbed both of my Rouge Pur Couture Satin Radiance Lipsticks and a set of false lashes to transition my look from day to night. Sorry for the bad quality of my pics! However you can see how stunning both colors are. I really love Rose Petal which is a muted rose tone lipstick and Fuchsia is a bold pink when you want to make a statement look. Yves Saint Laurent Rouge Pur Couture Satin Radiance Lipsticks are $36.00 (U.S.D.) each and worth the splurge when you want to treat yourself to something special. Currently, eBates is giving you back 4% cashback when you make a purchase from YSL Beauty or Sephora - so if you're in the mood to shop and splurge, go for it and don't forget to use eBates! Did you get in on this Voxbox from Influenster? Which lipstick is your favorite shade? Let me know in the comments below! This is such a great box! 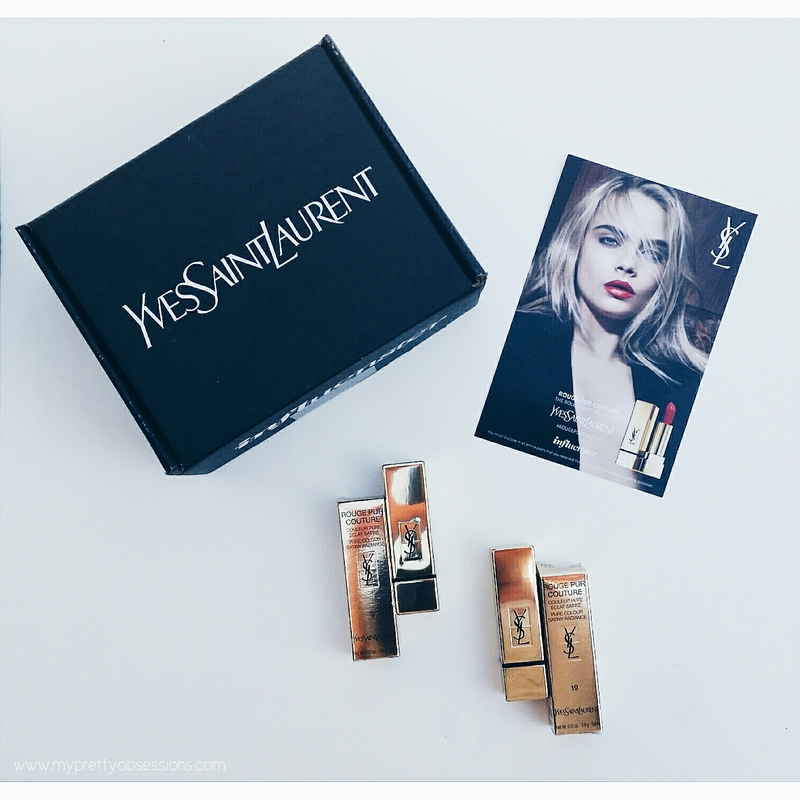 I love that Influenster has been having so many YSL boxes lately. I didn't get this box, but I got the YSL Black Opium box! Both of these shades are so beautiful and great colors for you. I'm really liking the Fuchsia one! Looking gorge as always! 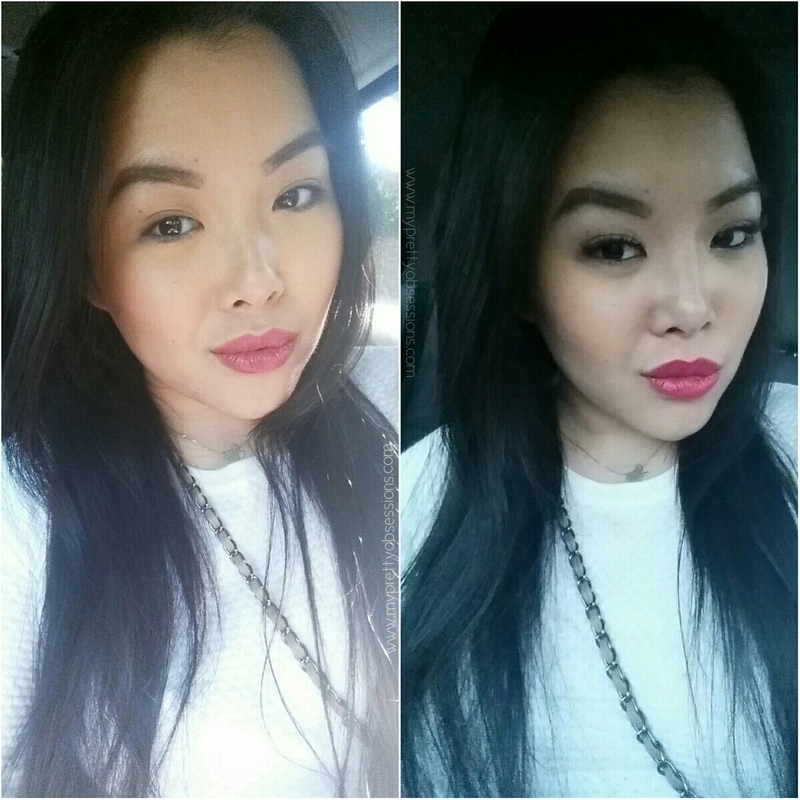 I have been loving the Rose Stiletto too - my kind of neutral, everyday lip color. I love that these are so hydrating on the lips too! 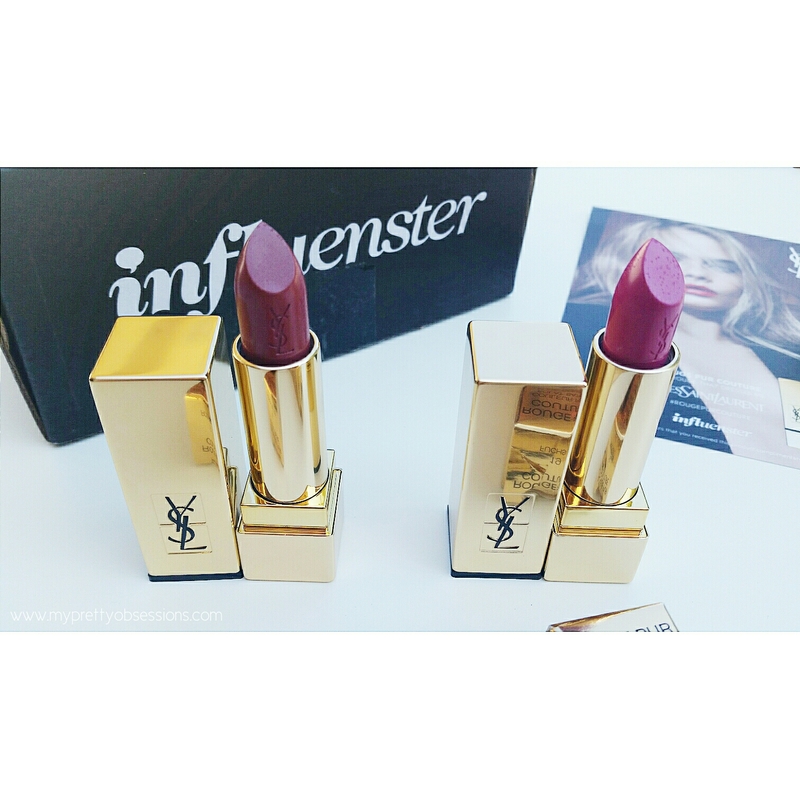 I always wanted to try lipsticks by YSL!! Those colors are so pretty!!! Thank you so much love! I totally agree with you about Rose Stiletto being the perfect everyday neutral. They are definitely hydrating and I appreciate that so much - I'll definitely be wearing my YSL lipsticks a lot during this cool/cold season! Hi Andrea! I think you will be pleased with any of the lipsticks by YSL! Like what Jackie mentioned - they're so hydrating on the lips! The color selection is gorgeous and I'm sure you'll find a few (or all) shades that you will love!